When it comes to something as interactive and hands-on as DIY floral design, it can be hard to imagine how one could master this applied art through an online education. However, through the implementation of a state-of-the-art online learning center with hours of HD video lessons, plus the personal touch offered by daily access to a team of advisors here to walk you through every unit of the course, with NYIAD’s online floral design course, you could start learning today and be running a functional, profitable business by this time next year. As with any comprehensive training program, our course was designed to take you back to the absolute beginning of floral design history. In order to be considered a truly knowledgeable industry expert, it’s important for proficient floral designers to understand the basics. From the beginning, we’ll talk about how to take care of flowers of all kinds, how to categorize the blooms you’ll organize in your workspace, and even how to make a checklist of all the crucial tools you should buy for a beginner’s studio. Want to study floral design with NYIAD? Click here to check out the official course page. 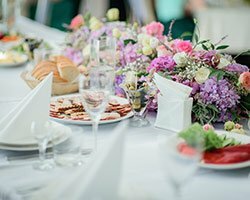 Once you’re familiar with how your workspace should be set up and maintained, we will get into the history of floral design throughout the centuries. Looking centuries back in history, we can see how ancient peoples used floral design in a number of ornamental ways- from garlands and wreathes for special events to thoughtfully sprinkled flower petals along the ground at certain culturally meaningful occasions. Developing an understanding of how flowers and plants have impacted culture and the ways in which we decorate, embellish and celebrate will help you as an artist as you start to picture the many ways in which you’d like your creative style to unfold while developing a personal aesthetic. Since all of NYIAD’s courses are entirely online, you get to decide when class is in session. You can login and read further into your assignments anytime and anywhere you’d like- as long as you have a device with internet access (yes, cell phones work too). Your online floral design course includes video, audio, and text lessons that you can refer back to whenever you need a refresher on any given topic. Plus, at the end of every unit you’ll get to complete a project demonstrating all the concepts we covered throughout that unit’s curriculum. Jacqueline Elfe is our head floral design mentor, as well as the owner and operator of the NYC Floral Design company Stellar Style Events. 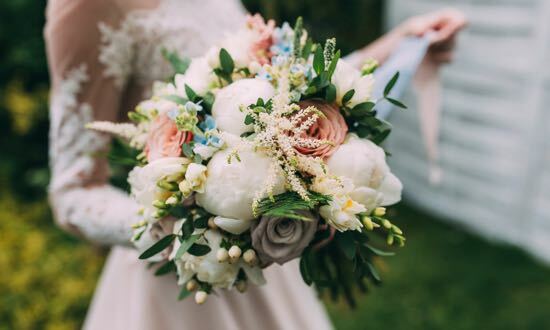 Her floral design firm was established in 2007, and the work she’s done there has since been featured in It’s All About The Dress, New York Weddings, Ceci Style and Munaluchi Bride. That project you submit will be reviewed by mentors like Jaqueline, all working floral design professionals in the area who already have thriving careers in the industry and loads of knowledge and advice ready to share. Towards the end of the course, we’ll get into all the specifics of launching your own business. As is true of many creative professionals, the artistic, hands-on aspect of the job comes naturally- but when it comes to business and marketing, that’s where we’re here to make sure you have what it takes to launch your own successful firm. From starting your own local business to simplifying your marketing strategy, we’ll walk you through every step of the process to ensure that not only are you ready to create your own designs, you’re ready to find the perfect clients to buy them.